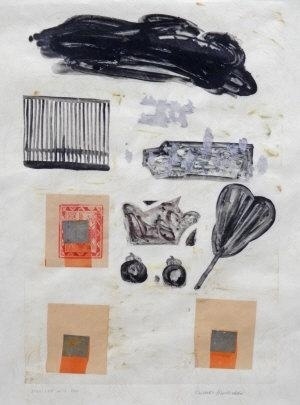 Although her exploration of remains, discarded and found objects do parallel somewhat with the themes that I am attempting to investigate with my work, it the composition of Ida Ekblads work that I am most interested in. The assemblage of ambiguous objects that offer an abstract, unknown narrative is what I find to be most intriguing about these pieces. She forces the viewer to read into the relationships between these objects, relationships that may or may not exist, by arranging them together on one single plane. 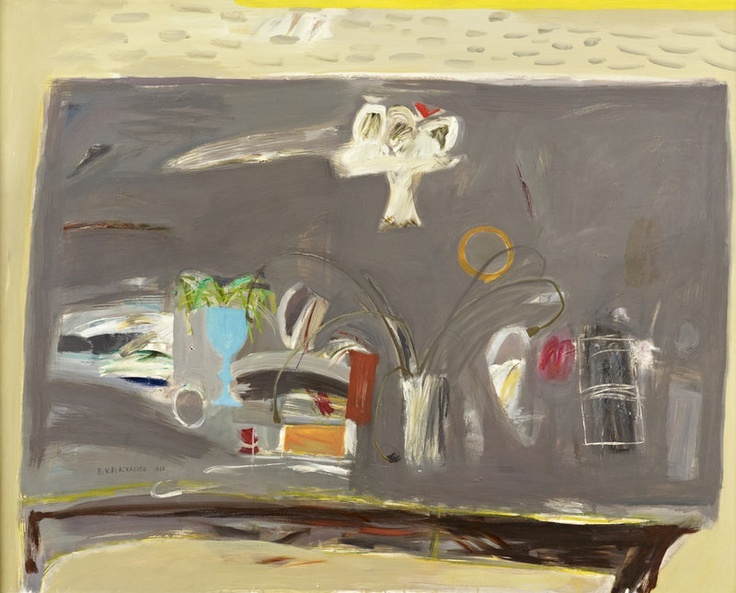 Elizabeth Blackadder’s still life object paintings are interesting me at the moment, her subject matter is a varied number of everyday objects that she paints in a free and abstract way. Her style interests me, her pieces use everyday objects in a mysterious way, placing a variety of objects together and creating a implicit narrative. 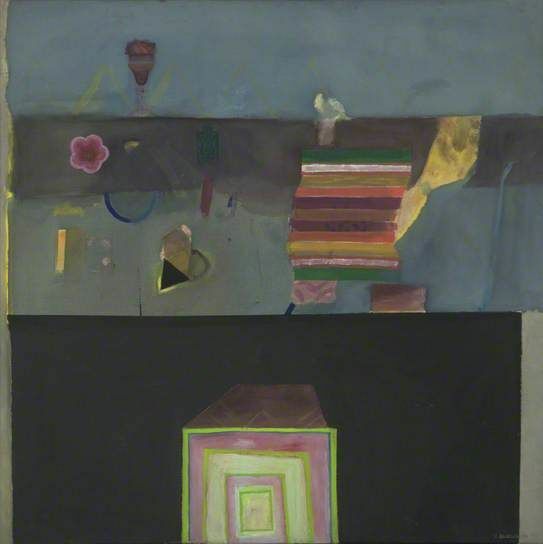 The settings, colours, textures and shapes in the paintings, to me suggest a real sense of a ‘home environment’, my brain identifies the context of the paintings without actually being able to identify each individual object. The painting style is very interesting, there is a clear emphasis on composition and colour – some objects are easily identifiable yet others lack clarity of identity and are harder to distinguish. I think these are fantastic paintings that, similarly to the work of Guston, cause us to question our relationship with everyday objects. Her painting style is something that I would like to investigate within the exploration of the inside/outside brief, I would like to explore the identity of the handbag – possibly both contents and components of the handbag – through a painting style similar to Blackadders, a painting style that allows me to consider the depiction of objects in an ambiguous way – thinking about how to suggest shape and narrative, and consider the importance of composition rather than explicitly illustrating the objects. I’m not sure whether I am currently succeeding in doing this, but after looking at the work of Blackadder I hope that I can apply what I have learnt to my practise.